800 South Lee is a truly significant Old Town property in one of the finest locations in the South East quadrant. It boasts a combination of primary features not found elsewhere: ample square footage, a large yard bordering protected green space, dedicated parking, a heated swimming pool, and modern construction in a historically-zoned district within walking distance to shops, restaurants, schools and steps away from Jones Point Park and the Potomac. Situated on an oversized lot rarely found in Old Town, expansive green space affords the owner clear views over beautifully landscaped grounds that border protected parkland. The unparalleled level of privacy in the expansive outdoor living space - featuring an amazing outdoor pool - set this property in a league of its own. With a handsome brick exterior, this 6000 square foot plus, 5-bedroom layout provides an array of options for living and entertaining. Modern amenities, luxury finishes, amazing views, proximity to everything, and natural light further distinguish this Old Town gem. Step into this expanded Yates Garden residence and see how peaceful and welcoming home can be. Private views of trees, 3 wood-burning fireplaces and hardwood floors throughout create a warm environment for family and friends. Custom mouldings and built-ins, lovely renovated kitchen and baths, and expansive rooms make day to day living both beautiful and highly functional. Retreat to the master suite with 2nd family room and office all on its own level. Curl up with a good book in the bay window or luxuriate in the marble master bathwith oversized shower. Relax, knowing family and guests are comfortable in the 2 additional spacious bedrooms, privately located on their own floor. Off Street parking. Close to popular shops, restaurants, parks, dog park and waterfront of Historic Old Town. Exceptionally bright and meticulously maintained corner townhouse located on one of the loveliest streets in Yates Gardens. 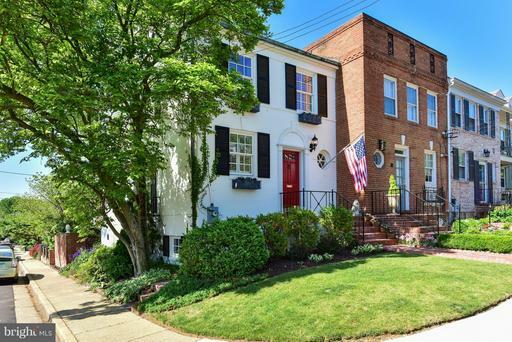 Four bedrooms, en-suite master bath, attic storage, wood burning fireplace, gorgeous private brick patio, hardwood floors and deeded parking for 4 cars. Premier location close to walking/bike trails, Jones Point Park, community gardens and shopping and dining on King Street. Open Sunday 2-4pm. Perfect Yates Gardens location close to everything. 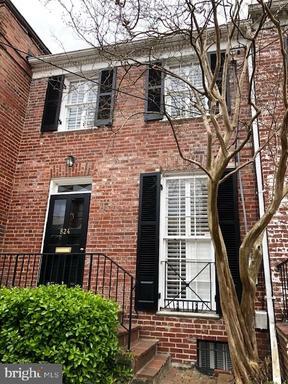 Beautifully updated town home with easy parking at your front door. 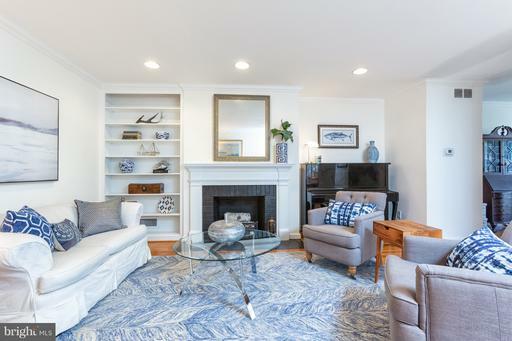 Features include an up-to-date Kitchen, Living room with a wood burning fireplace and beautiful and functional built-ins and original hardwood floors on the main upper levels. Fully finished lower level with a half bath and great built-in cabinetry. Gorgeous deep rear yard you dont often see in Old Town with brick walkway, patios with multiple seating areas and almost no maintenance. Get ready for the summer evenings on the patio with the grille all within walking distance of all that Old Town has to offer and so close to everything.